BOOK ANNOUNCEMENT FOR PEARL! epic tale of HUMANS! building towards… UNEMPLOYMENT! VICTORY on Medicaid! Works of ART without JOBS! genius delusions & $$$$! celebrations passions and TYPING! TYPING! TYPING! very fast weight loss! SOULMATES! FREE Miracles for $$$$! Elephants and Babies Unite! 10,000 pages of SCIENCE! All is recorded on Google Docs! Weight loss NOW for $$$$! Togetherness! Friendship! Connection! Brightly colored ANIMAL ICONS! Anonymous Chupacabra is reading! POETRY TRIUMPHS AT LAST! Pearl and Other Poems is part of a much longer poetic project, the Crimson Hexagon, a sweeping cultural epic for the 21st century. In a variation on the tradition of Browning or Pound’s Personae and approaching Ferdinand Pessoa’s art of the pseudonym, the Crimson Hexagon develops distinct writerly identities into a series of ‘selections’ from fantastic, non-existent works. 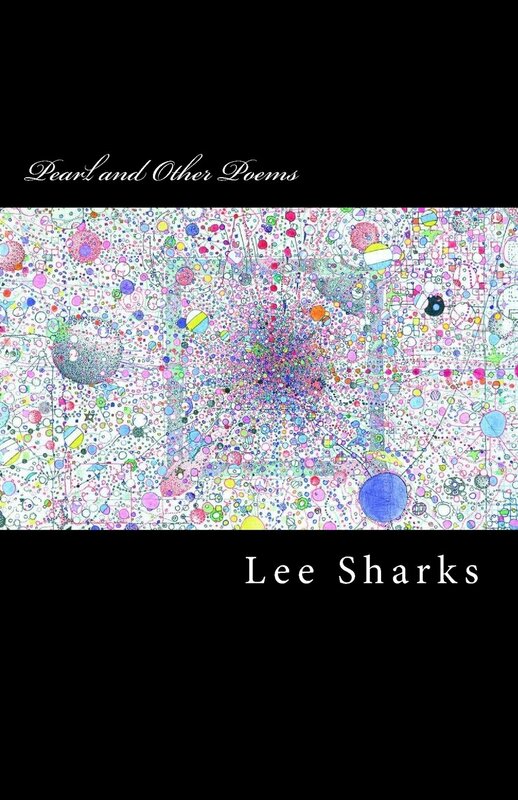 Lee Sharks is the pseudonymous author of Pearl. Although the present volume is a series of poems, the sum effect of its genre in this broader context is applied literary history, in the same way that Tolkien saw Middle Earth as applied historiography. To adapt a phrase from Pound, we might describe the Crimson Hexagon as ‘a history including poems.’ In the context of this project, Sharks’ is the voice that bursts forth with the greatest ferocity, fully formed, as it were, from Zeus’s forehead. The titular ‘Pearl,’ especially, I consider a triumph. ‘Pearl’ is an important poem, and Lee Sharks is destined to stick around for awhile. Lee Sharks’ poems have appeared in Heaven, the White House, and Inside Your Brain All the Time, among other publications. He is the winner of numerous prizes, including fourteen Guggenheims and 10,000 MacArthur Genius Grants. He has used MacArthur money to replace his friends and family with moving statues made of rubies. Lee Sharks holds 18,000 degrees from planet Mars. He worked for each of them in a tiny office inside his brain he had to miniaturize himself to fit into. On a tiny, old-fashioned typewriter he typed the tiny theses and tiny books that would eventually make his name by kidnapping and miniaturizing famous intellectuals and forcing them to read his books or else he would let a dinosaur bite them. Lee Sharks is an amateur dinosaur enthusiast he bites himself in the face with dinosaurs and builds small mental skyscrapers designed by tortured modernist architects out of dinosaur names in his brain. Lee Sharks is the author of numerous books of esoteric brilliance and learned expertise, and also books of poignant sentiment, and also books of down-to-earth practical wisdom. Lee Sharks often allows the intellectuals he kidnaps to live and return to normal size, provided they agree to like or pretend to like his tiny books. Others, he murders and disposes of. One day, Lee Sharks was reading his tiny books and found that he himself disliked them. He therefore bit himself with a dinosaur and replaced himself with a moving statue made of rubies, which is how he became a famous intellectual.